“Team building” means little because it can mean so many different things in context. Most often, team building requests are about fixing or improving relationships among group members. In my work over the past 20 years, I have found that relationship issues are seldom the root cause of team problems; they are more often the symptoms. So allow me to offer a basic primer in understanding the nature of effective teams and what team building generally is all about. 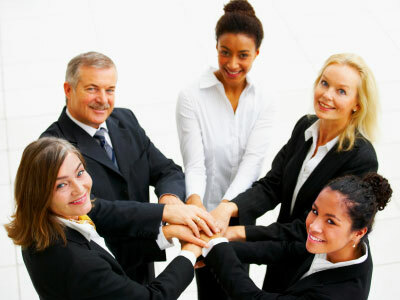 Teambuilding is an Organization Development technique for improving a work group’s performance and attitudes by clarifying group goals and clarifying members’ expectations of each other. Search for specific inhibitors to your team’s performance. The “relationship issues” will come up first, but you will need dig deeper. Root causes of inhibitors need to be explored in the order listed below. Most importantly, team building must be an ongoing process – not a half-day activity or outing. The team building activities of that nature that I offer are meant to be used as a single element of an overal strategy for team development. I nearly always develop a customized approach depending on the context and commitment to change from my clients. Remember, your goal is specific: to improve team performance and attitudes by clarifying group goals and members’ expectations of one another in the following order. This requires focus, disciplined adherence to a structured process, and at least some assistance from a skilled facilitator from outside your team and organizational culture. This simple model works for any kind of team, whether it’s a marriage, a family, a church, a neighborhood or civic group, a government task force, small business or Fortune 500 corporation. Do team members have a clear, shared understanding and articulation of the same mission, goals, vision and even values? By the way, you might call this all-important clarification process, which is the first step necessary to get team members “on the same page”, as “The Intersection of Purpose”. Teams I have worked with are amazed at the transformation of their attitudes, among other outcomes, just by achieving success at developing a clearly stated common mission. This is one of the reasons why I say Strategic Thinking and Planning is perhaps the most powerful “team building” activity any group can pursue. What roles are necessary for the team to be effective and who will play those roles (individuals, SBUs, locations, departments, etc)? Within each role, are there clearly identified goals that support the team’s purpose and mission? Do team members share mutual expectations of one another (and SBUs, etc) in their respective roles? This also includes “unwritten rules” – the ones that really define team and organizational culture. Typically, it is often a continuous, and sometimes very difficult and time-consuming challenge to identify a team’s unwritten rules. Team members and team leaders are typically hard-pressed to do this heavy lifting, but it can pay big dividends and nearly always requires outside assistance. Yes, relationship issues can produce root cause inhibitors to team success, but should only be accepted after the other three causal areas are explored and well-defined with a great degree of consensus. Where relationship issues still exist, now they can effectively be addressed through tools and activities like sharing behavioral style assessments (i.e. DISC) and traditional team building activities. Now, with all this said, I do use traditional team building as a means to introduce organizations t more profound solutions. But I am very careful up front when I say “yes” to these agreements. Unless relationships are the only inhibitor to effective team development, these activities provide short-term fixes at best. Join me at the Intersection of Purpose & Now. A Go-Giver business coach working with leaders whose success depends on the performance and productivity of others. I coach individual leaders and their teams... in small to mid-size businesses, ministries and non-profits... to accelerate their results and achieve dreams by getting past the difficult, strategic challenges of their current realities. This entry was posted in goals, organization development, performance, strategic planning, team building, team work. Bookmark the permalink. Is There a Secret to Success?